The Digital Baroque Program explores the added value inherent in complexity. Industrial mass production is best suited for large series production of relatively simple forms. Traditional handicraft on the other hand, was well suited for small series of unique, complex and articulated forms, which empowered for example the Baroque aesthetics. Currently, many of the qualities germain to traditional craft are re-emerging within the digital paradigm, prompting the notion of Digital Baroque. Complexity or variation is not a virtue per se, and industrial production will not disappear with the emergence of the digital. However, complexity does hold considerable potential for added value. 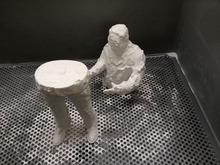 There is both expressive potential through uniqueness, ornamentation and sculptural form, and performative potential through structural optimization and ergonomics, for example. In most cases, both aesthetic and functional, or cultural and engineering, performance is desirable. Think of for example a car seat or a helmet, both of which need to be formally and materially seductive, ergonomically customized, and protective, i.e. energy absorbent. The extraordinary mechanical properties inherent to the chemical structure of nano-cellulose and carbon nanotubes could be combined, and used to additively manufacture energy absorbing geometries in order to create, protective, beautiful, ergonomically customized car seats or helmets. The Digital Baroque program focuses on exploring and developing products where significant added value is found in complexity, and what it enables both functionally and aesthetically. The research begins by mapping out most exciting technologies, and their possible areas of application, and proceeds by executing a number of case studies through concrete prototypes. 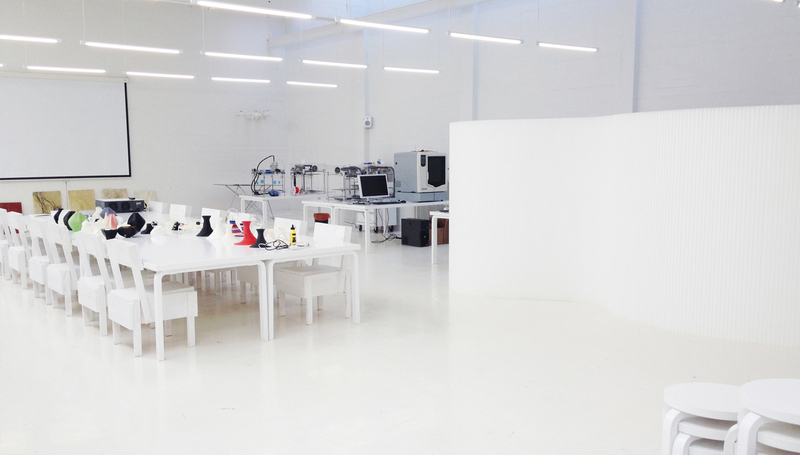 The results will be exhibited tested with an audience at the two-year milestone in the form of design prototypes and actual products. Digital design, fabrication and material technologies are moving architecture into a new, ecological era. 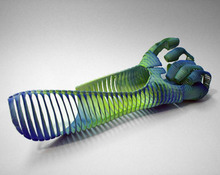 Responsive and intelligent materials and design enable more complex, unique and user-friendly architecture. Parasitic Aggregation. Gabriel Huerta, UCLA Architecture and Urban Design Student. The paradigm shift from serial reproduction towards serial permutation, from copies to iterations, is happening as digital technologies allow more variation and flexibility even in mass production. 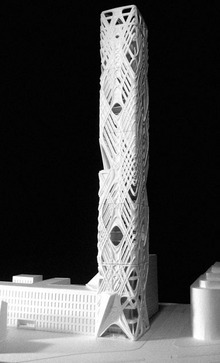 ADD is involved in Soft Tower, an R&D venture that explores the digital possibilities for the architecture of high-rises. They are often stifled to a monotonous experience through the repetition of units and building components. 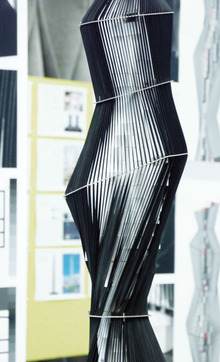 Digital design and fabrication open up ecological and experiential potential to design and construct an exciting high-rise, a “soft tower”. In Soft Tower the elements of a building – form, program, pattern, color and ornament – are all coordinated to produce new, more ecological sensations. The aim is to create a new way of designing and constructing a high-rise, and to create more ecological experiences of vertical living. (Metro)City. Leonard Ma, Aalto University School of Arts, Design and Architecture, Department of Architecture. Metamorphose. 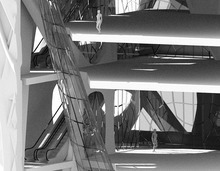 Cody Campbell, UCLA Architecture and Urban Design Student. City Rejuvenated. 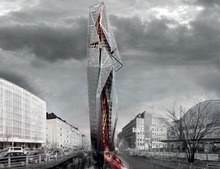 Alexander Adkins, Aalto University School of Arts, Design and Architecture, Department of Architecture. High-rises offer efficiently dense and optimized urban living as well as sustainable building by inter-linking technological solutions. Energy producing technologies can be used on the outer skin of the building, while advanced elevator systems for moving people, and climatically and programmatically responsive architectural solutions can provide sustainability throughout the high-rise’s life cycle. The flexibility and plurality offered by the Soft Tower makes it adaptable to fluctuating trends in housing, service and office preferences. 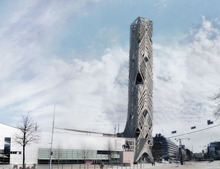 The initial phase of the Soft Tower research project was developed through a joint collaboration between the architecture students from Aalto University and UCLA in the USA. 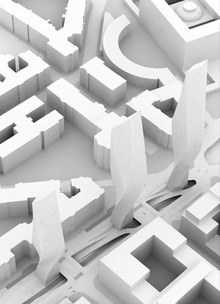 During this process, the visiting students from UCLA developed a site specific research and conceptual design based on a set of locations selected by Aalto University students throughout the city of Helsinki. 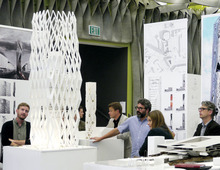 The resulting proposals were first presented in the context of the UCLA 2012 RUMBLE session, an exhibition where the “program installations redefine the provocative opportunities confronting the next generation of architects”. 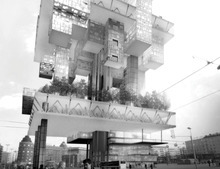 In this first phase of Soft Tower, four billboards were also installed as a citywide installation around Helsinki presenting seductive soft skyscraper proposals. Soft Tower Phase 2 is being prepared for Fall 2013.